Traveling with food allergies can be a challenge. Some places, like Disney World and Disneyland California do an amazing job of helping those with food allergies. When researching how to manage food allergies at Universal Studios Hollywood I had difficulty finding much information. And the information that I did come across did not show that dealing with food allergies at Universal Studios Hollywood would be easy. 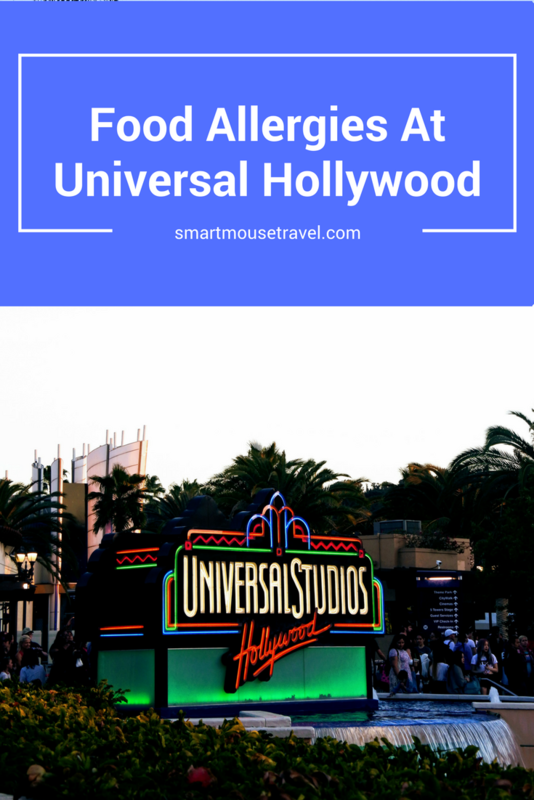 I would like to tell you that we had an amazing experience and it was easy having a food allergy at Universal Studios Hollywood, but it wasn’t. There is a minimal food allergy menu which provides food options for those with gluten intolerance or Celiac disease, peanut allergies, vegetarians, and dairy free dining options. There are no options shown for any of the other top 8 food allergens let alone Elizabeth’s less common corn allergy (including modified food starch, corn syrup, and fillers used in tablets to name a few). Even if you are one of the 3 allergies listed on the special menu (dairy, peanut, or wheat) the menu clearly states that there is no guarantee that foods will be safe and that the guest must use their own discretion when choosing to eat an item. We have been spoiled by the great service at Disney and Universal fell short. Read more about food allergies at Disney here. I still really want to go to Universal Studios Hollywood even with my food allergies. Now what? I get that. We obviously were so excited to experience the Wizarding World of Harry Potter we went to Universal Studios Hollywood even though food options were not going to be great. At Universal Studios Hollywood it is difficult to find an exact menu for each restaurant within the park. The most complete information I could find on Universal’s website provided a handful of popular items from each place. From this you may be able to narrow down some possible options. 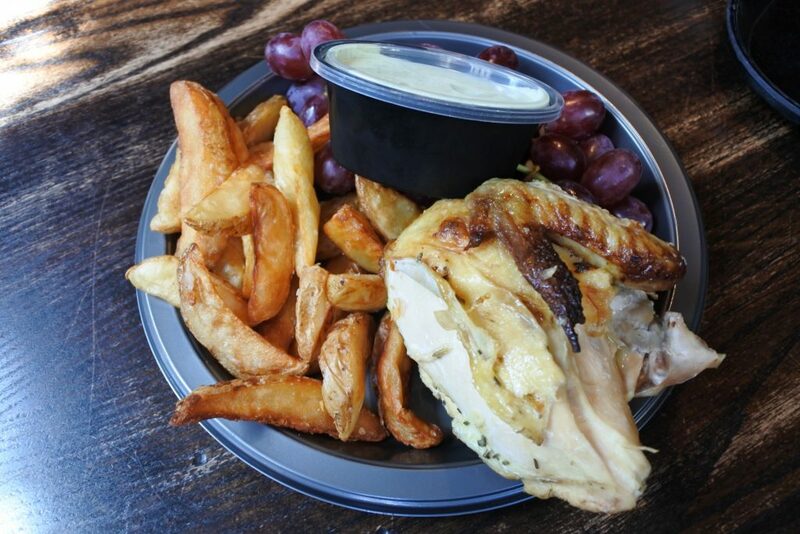 For example, I saw chicken quarter as an option at Three Broomsticks. Roasted chicken is normally a safe option for Elizabeth. There was a long line and people behind us were not happy, but we asked the person taking our order at Three Broomsticks to check with kitchen staff. We wanted him to ask about corn products in the children’s chicken quarter. He was gone awhile, but did confirm that the meal did not contain obvious corn ingredients. This was especially important since we were told modifications to a meal were impossible. Elizabeth does not have anaphylaxis with cross-contamination so we let her eat the meal (and she was fine). If anaphylaxis with cross-contamination was a concern we would not have eaten there since corn on the cob was provided with many of the meals. We stopped at two cafes within the park to try and get an afternoon snack. When we asked about ingredients the staff both times went into the back, checked ingredients and warned us that there was some corn product on the ingredient label. Although disappointed, we appreciated that staff was willing to check. We ended up having an afternoon snack at Starbucks in the park. Starbucks has packaged items that are safe for Elizabeth. Going to a chain you know inside the park is another option to consider. The chains found in the park are Starbucks, Cinnabon, Panda Express, and Ben and Jerry’s. According to the FAQs you may bring in limited food items unless it is for a food allergy. In the case of “special dietary needs” you may bring any food you need into the park in a park bag or small, soft sided cooler. In our case, I had packed beef jerky, Goldfish, cashews, graham crackers, corn-free ketchup packets, and Annie’s fruit snacks. All of these items I knew were safe. When we travel I always pack corn-free foods from home. This way Elizabeth has something to eat even if it isn’t an ideal meal. Dealing with food allergies at Universal Studios Hollywood left much to be desired. However, this should not deter you from visiting the park. If you really want to experience the attractions Universal Studios Hollywood has to offer go for it, but plan carefully. If you do visit, I highly recommend that you pack your own safe food and err on the side of caution. Although the staff seemed to want to help us, their ability to confidently handle questions was lacking. 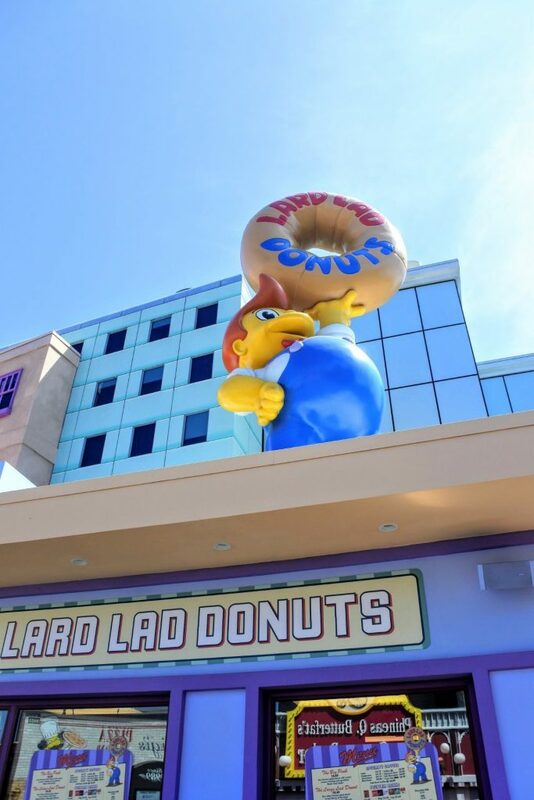 Have you gone to Universal Studios Hollywood with food allergies? What was your experience? Please share in the comments. 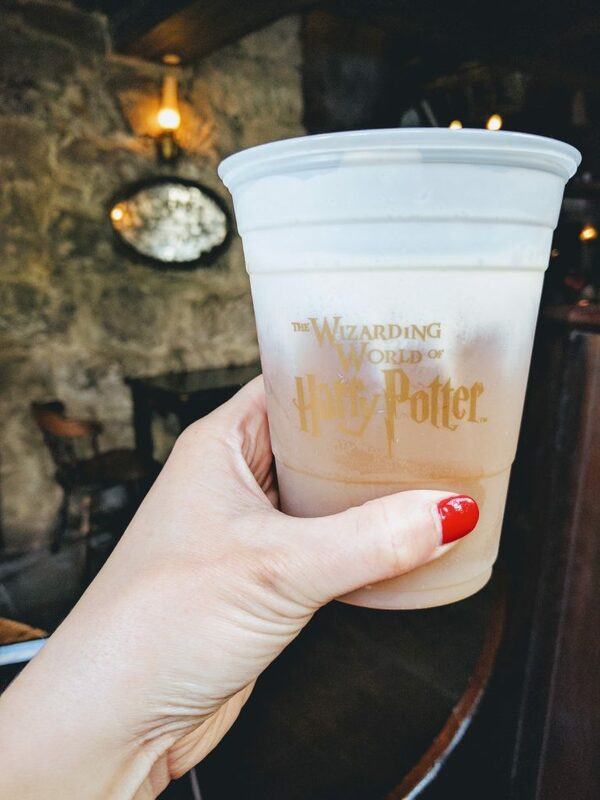 Check here for my complete guide to the Wizarding World of Harry Potter. This article is for informational purposes only and is not a substitute for professional medical advice. Always seek the advice of a physician or other qualified health provider for managing food allergies and other medical conditions. Previous Post:Disney World Lingo – What Does It All Mean? !